After the teaser was recently released, the official website for this summer's Super Hero Time double feature movie has finally opened giving us our first look of the movie's first visual. The movie visual also revealed both of the movie's catchphrase from Kamen Rider EX-AID's "The great doctors battle goes to the extreme!" 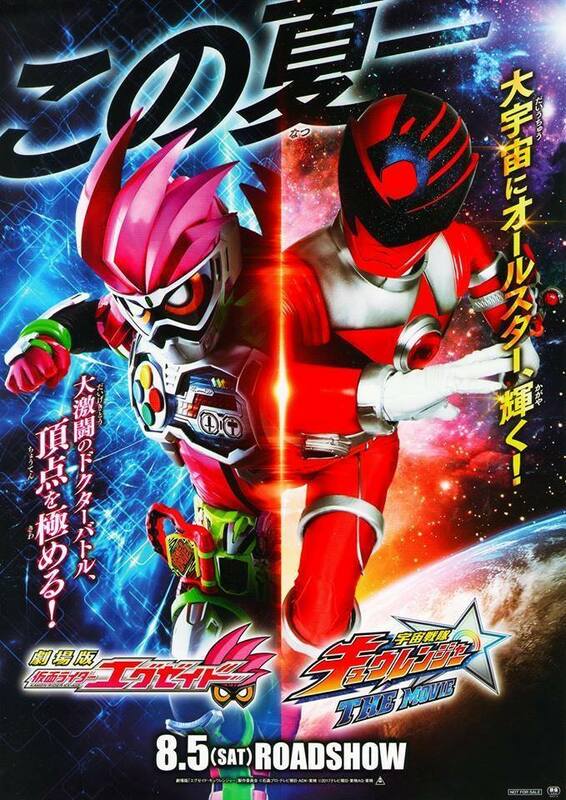 and Kyuranger's "All stars shine brightly in the great galaxy!". 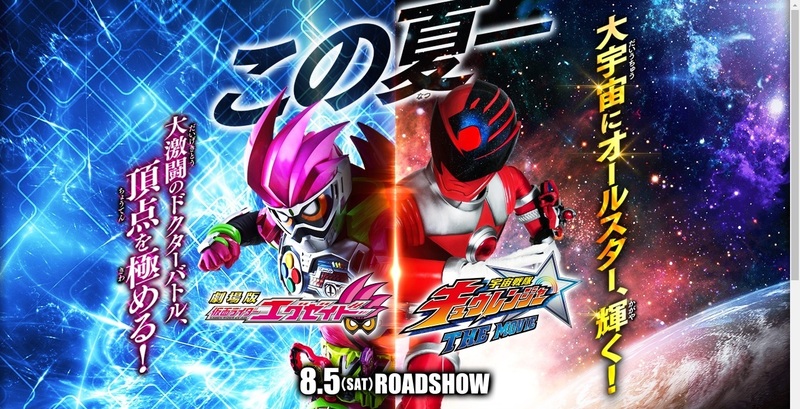 Kamen Rider EX-AID and Uchuu Sentai Kyuranger The Movies will premiere in Japanese cinemas this August 5, 2017.